My Big Russian Media Debut! 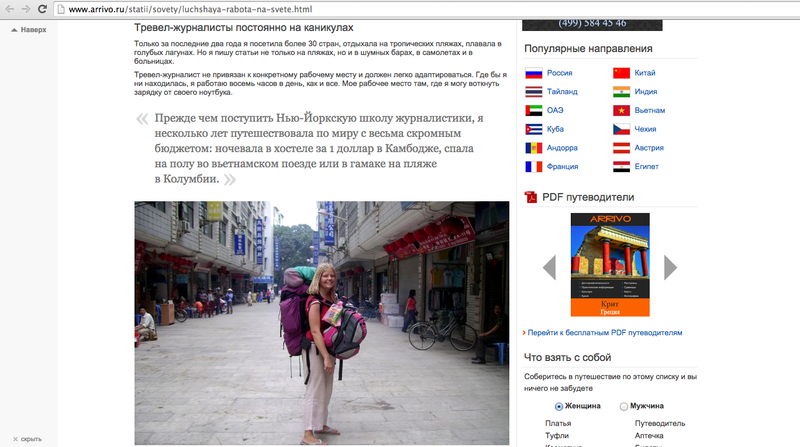 Check this out – I’m famous in Russia! Woohoo! You can get a general idea of the gist of the article if you read it with Google Chrome, as the browser does an automatic translation. Or better yet, you can read the original English-language version here, as the article was first published by 219 Magazine, a publication of my alma mater, the CUNY Graduate School of Journalism. And how did I get to be published in Russia? Easy. All I did was host Ivan, a Russian guy, through Couchsurfing.com in Finland for one night back in the summer of 2012. Ivan recently emailed me that he was on the path to becoming a travel writer himself, partly due to being inspired by my example! And he asked if he could translate this article of mine for Arrivo, one of his clients. Those of you that speak Russian can learn more about Ivan from his traveler profile, also published on Arrivo. He also has a personal blog that is partly in English: www.kunavithewriter.com. 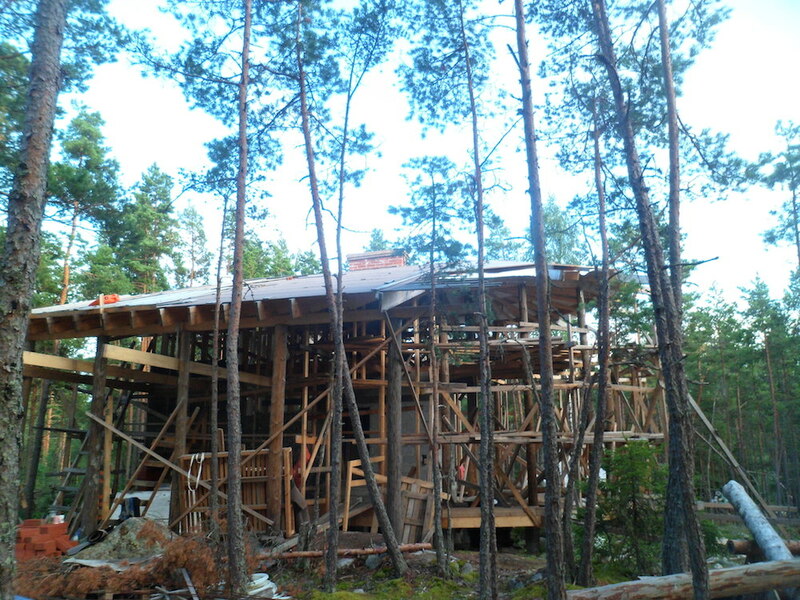 There was another woman building a giant wooden house for herself in the forest, after being tired of living in a “kota” for three summers – kota is a Finnish teepee of sorts. 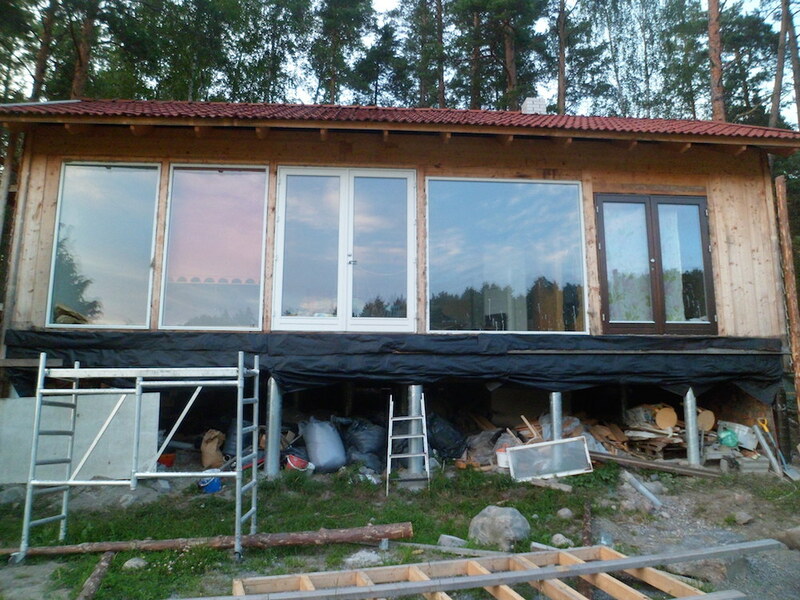 And there was another lady building a house with huge windows that allow in as much sunlight as possible. Speaking of alternative life choices: It turns out that Ivan’s life totally turned around after this visit to Turku and the eco-village! Though not in the way you would expect (nope, he didn’t move to the woods to be a hippie). Instead Ivan met a Polish guy at the eco-village who told him about the European Voluntary Service (EVS) program and he decided to apply for the program himself. “I would like to thank you very much for this unexpected tour to this village.I mean, this day in Turku with you and your friends really changed my life. My main goal was Stockholm, it was cool, but nothing amazing happened there. Turku was on the way to Helsinki, but many things happened. The story behind is that after this day in Turku I thought about my life for the rest of the summer. I decided to quit my office job, my rental apartment in Saint Petersburg which I never really liked, and go for traveling. 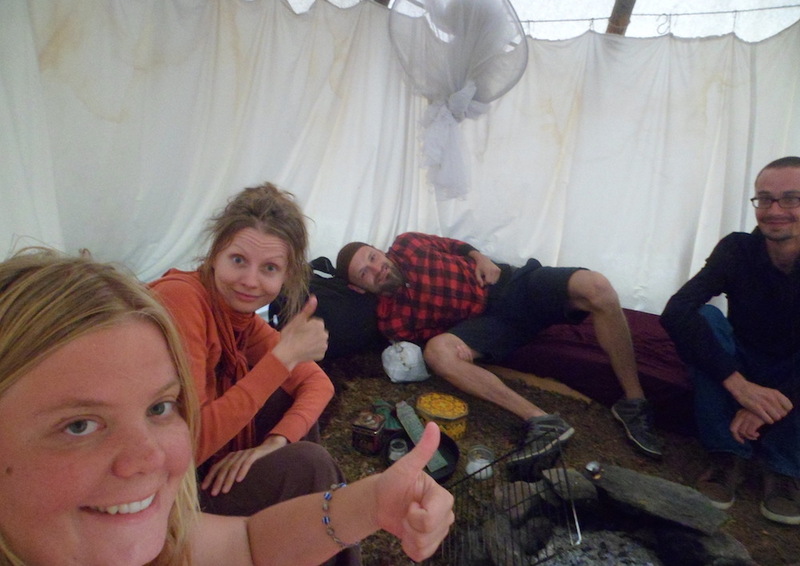 While applying for the EVS I discovered many new things and possibilities for budget travels, like Help Exchange and WWOOF, and many others. 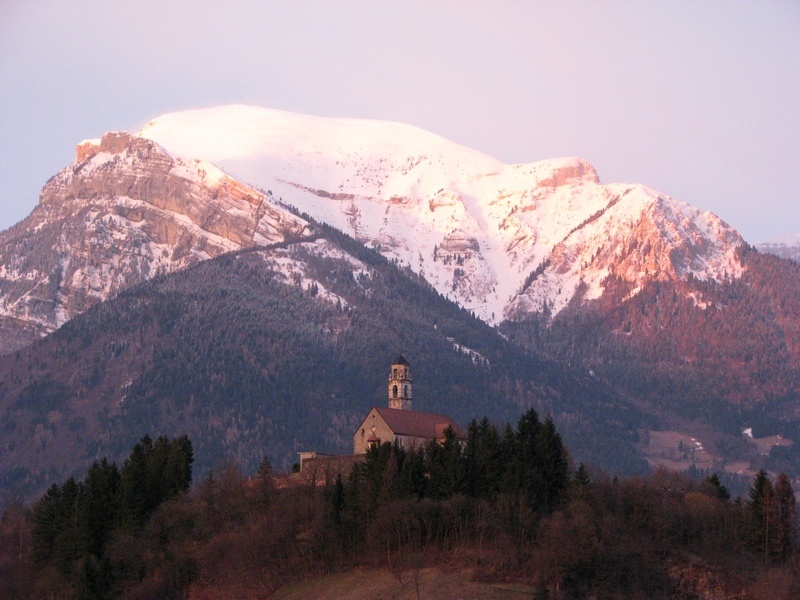 Now I am a volunteer in an environmental education center in a small city or better to say a village – Lamon, in Dolomites mountains, about 100 km from Venice. We do workshops for kids, learn local nature, meet local people, learn Italian and just have a lot of fun. The place is very beautiful. Mountains around. I have never been in such a nice place. I love Italy very much. We already visited south of the country – Napoli (which is just a crazy city, in some ways even more crazy than New York!) and we are planning to go to Toscana the next weekend.